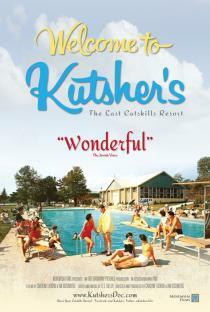 One of the legendary Borscht Belt hotels during its heyday, Kutsher’s was family-owned and operated for over 100 years. Exploring the full Dirty Dancing-era Catskills experience— and how it changed American pop culture in the comedy, sports and vacation industries— this award-winning documentary captures a last glimpse of a lost world as it disappears before our eyes. The Catskills resorts were not only a Jewish refuge and family vacation paradise, they also gave birth to American stand-up comedy, the NBA All-Star Game, and all-inclusive resorts. This film brings to life how Kutsher’s thrived at the center of all this growth and excitement. Watch Wilt Chamberlain both playing ball and working as a bellhop at Kutsher’s; Red Auerbach as the Kutsher’s Sports Director; and Kutsher’s Maurice Stokes benefit game create an All-Star basketball tradition. Laugh with appreciation at Freddie Roman as his classic Borscht Belt routine still brings down the house, and wonder in amazement as Andy Kaufman wrestles a female Kutsher’s guest for $50. Marvel at the abundance of hearty kosher feasts where no one can get away with ordering just one main dish, and the non-stop whirl of recreational activities. And as the Catskills decline and the end of an era draws near, witness a final twist: can an indie music festival reinvent Kutsher’s for a new generation? The story of Kutsher’s is uniquely American.